Today is Take Your Daughter to Work Day. If you’ll be bringing your daughter to share in your equestrian career or hobby, there are some important lessons you should be sure to teach her, both for her own safety and to help lay the foundation of a an understanding of horses and horse care. Before your daughter steps foot in a barn, have a discussion with her about horses and how they react. Explain that horses are prey animals, and that anything that causes them fear can cause a swift and sometimes significant reaction. Talk with your daughter about the importance of not running, making sudden movements, or shouting when in the presence of horses. When you bring your daughter to the barn, spend some time teaching her how to safely work around and handle horses. Explain where the horse’s blind spots are, and teach your daughter to never approach a horse from directly in front of or behind it. Encourage your daughter to always speak to horses to make her presence known, and show her how to keep her hand on a horse whenever she is walking behind him. If your daughter is going to be walking around the stables with you, she will need to know to always close gates behind her. But rather than simply telling her to close gates, explain why this is important – that if the horses get loose, they are in danger of getting into areas which could cause them serious harm, like the road or into a feed bin in the feed room. Luckily Buckley’s Steel Board Gates, which open and close effortlessly on bearings, can be easily opened and closed by even a young child. Buckley’s EZ Latch, while horse proof, is designed for easy two-way operation – even when mounted – meaning that your daughter can learn responsibility as she opens and closes gates on her own. Teaching your daughter how to feed and care for a horse can help boost her self-esteem and give her a deeper understanding of the dedication required in owning an animal. Teach her about the horse’s sensitive digestive system and the importance of keeping feed types, amounts, and times consistent. Clean a stall or clean tack with your daughter to help give her a more complete idea of the different chores that come with horseback riding. 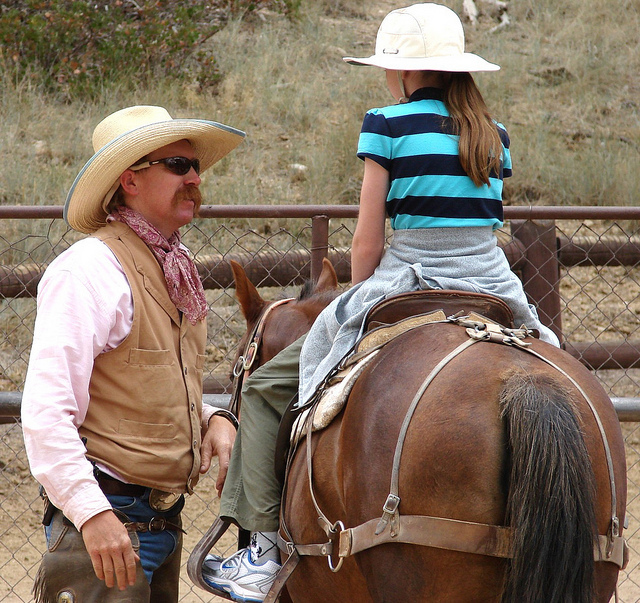 Spending time working on the basics of horsemanship now will mean that if your daughter goes on to work with horses in the future, she already has a great foundation of knowledge that she can build upon. This entry was posted in Horse Gates & Latches. Bookmark the permalink.